Dia 28/4 foi oficialmente lançado, em nível internacional, no Vaticano, o Dado do Ambiente, com os mesmos princípios do Dado das Empresas (da EDC) e do Dado do Amor (dos pequenos). Quem o lançou foi Maria Voce, Presidente do Movimento dos Focolares, durante uma seção da Conferência sobre Mudanças no Clima, com o título “Proteja a Terra, Dignifique a Humanidade. Dimensões Morais do Desenvolvimento Sustentável e Mudanças no Clima”. O Secretário Geral das Nações Unidas, Ban Ki-moon, que anteriormente havia encontrado o Papa Francisco e estava ali presente, convidou em seu discurso a todos para que tenham uma mudança de estilo em seus respectivos estilos de vida. O Dado do Ambiente foi uma ideia de nossos amigos nos Estados Unidos (John Mundell) e foi lançado naquele país no dia 22/4 p.p., como um presente ao Papa e à Igreja antes da emissão da próxima encíclica papal sobre o Ambiente, prevista para junho próximo. Summit on Climate Change at the Vatican in expectation of the encyclical on the envirornment. 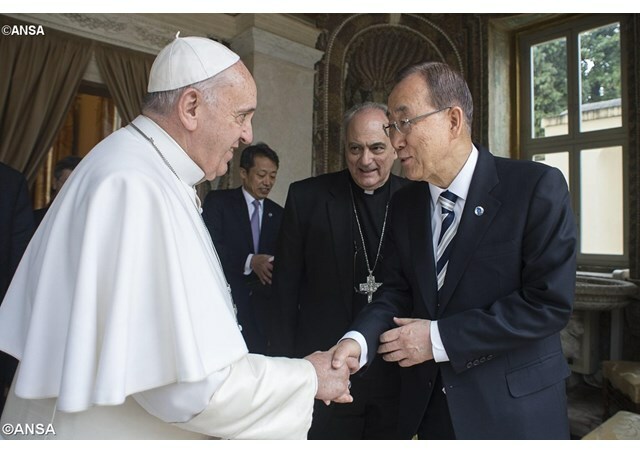 Ban Ki-Moon, who met with Pope Francis, invites everyone to a change of lifestyle. Maria Voce relaunches The Earth Cube, presented on Earth Day in the United States, on April 22, 2015. No anticipating the encyclical of Pope Francis on the Creation, but great expectation for the document that will be published at the beginning of June. 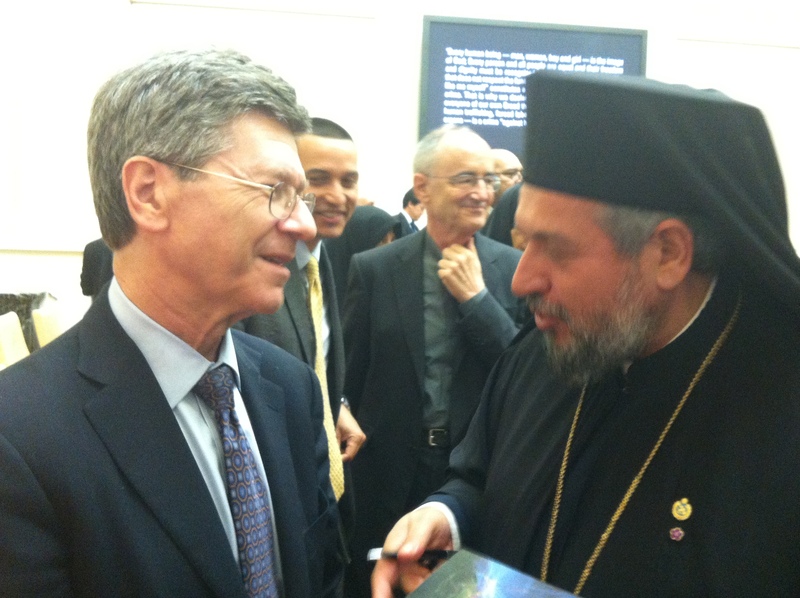 “The world waits to hear his teaching and what he will say in the encyclical and in his speech before the United Nations Assembly on September 25, 2015,” said Jeffrey Sachs, director of the UN agency for sustainable development (UN Sustainable Development Solutions Networks). He is also one of the promoters of the summit, along with the Pontifical Academy of the Sciences and the Religions for Peace, which has Maria Voce as one of its co-presidents. Also in attendance: were General Secretary of the United Nations Ban Ki-Moon, president of the Italian Republic Sergio Mattarella, and president of the Republic of Equador Rafael Vicente Correa. The conference brings together scientists, environmentalists, Nobel laureates, political and religious leaders to further the discussion on climate change and sustainable development in view of the encyclical on Creation. 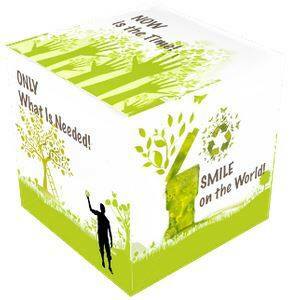 The day focused on the moral dimensions of the commitment to sustainable development. This is why the involvement of a wide diversity of religious communities seemed quite an encouraging novelty. For Maria Voce, what emerges from this summit is a “new awareness that, in order to obtain something positive, we must come together, because no one, by himself, has the recipe for getting out of these quite dramatic situations. Cardinal Turkson, president of the Pontifical Council for Justice and Peace proposed that the answers should not be merely technical, but should be based on the moral dimension and oriented towards the well-being of humankind. Technological, scientific and economic progress has introduced lifestyles that were unimaginable to our predecessors, but it also has “some dark sides and unacceptable costs.” “While global society is defined on the values of consumption and economic factors, the rich of today have grown numb in front of the cry of the poor.” “Out of the 7 billion people living the world, 3 billion are living in conditions of poverty, as an elite consumes the greatest portion of the resources.” The discussion ended on the topic of food, which will be at the centre of the Universal Expo 2015 in Milan, Italy. Turkson strongly denounced the exploitation of workers, the trafficking of human beings and the modern forms of slavery. Pope Francis deplores this “throw-away culture,” the Cardinal recalled, in the “globalisation of indifference.” “The Church is not an expert in science, technology or economy, but it is an expert in humanity. To win the challenge of sustainable development “the same conversion, personal transformation and renewal are needed that were invoked fifty years ago by Paul VI and encouraged by Pope Francis today.